Contrave: A New Weight Loss Medication - Doctor Hermann M.D.,P.A. Posted on June 5, 2015 April 2, 2016 by Reshma Patel, M.D. 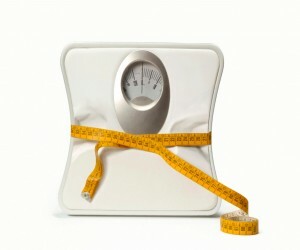 Contrave is an FDA approved weight loss medication for obese and overweight individuals. It contains a combination of 2 drugs: bupropion and naltrexone. Bupropion is an antidepressant used to treat depression and is also used to help individuals quit smoking. Naltrexone is used to treat alcohol and narcotic dependence. The combination of these drugs with a reduced caloric lifestyle and physical activity has been shown in studies to decrease weight loss by 4 percent after one year of use. Eligible patients should have a body mass index (BMI) of 30 (obese) or higher or a BMI of 27 (overweight) or higher with a weight related comorbidity such as high cholesterol or diabetes. Contrave should be avoided in individuals with a history of seizures, uncontrolled high blood pressure, and eating disorders. At Hermann Wellness we offer many weight loss and nutritional treatment options, including Contrave. Our offices are located in Tampa and St. Petersburg. Please call the office at (813) 902-9559 for more information or to schedule an appointment.